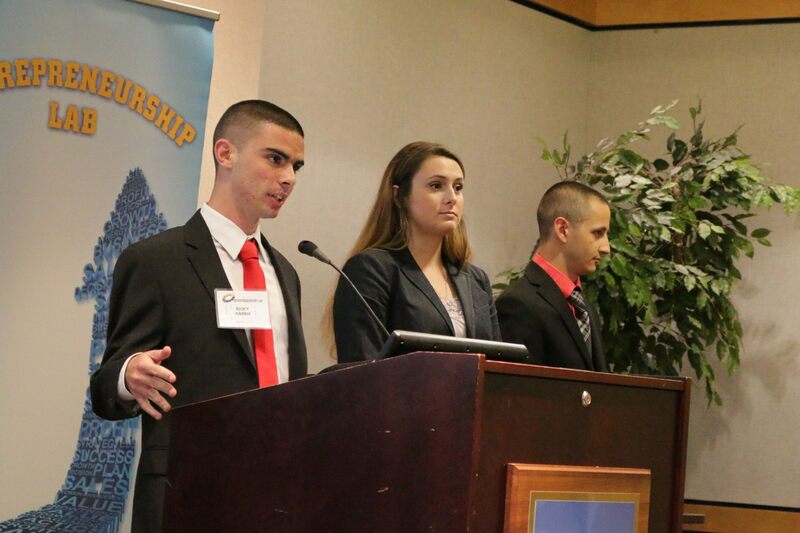 Another year, another incredible performance at the annual Pace Pitch Contest from Seidenberg students. 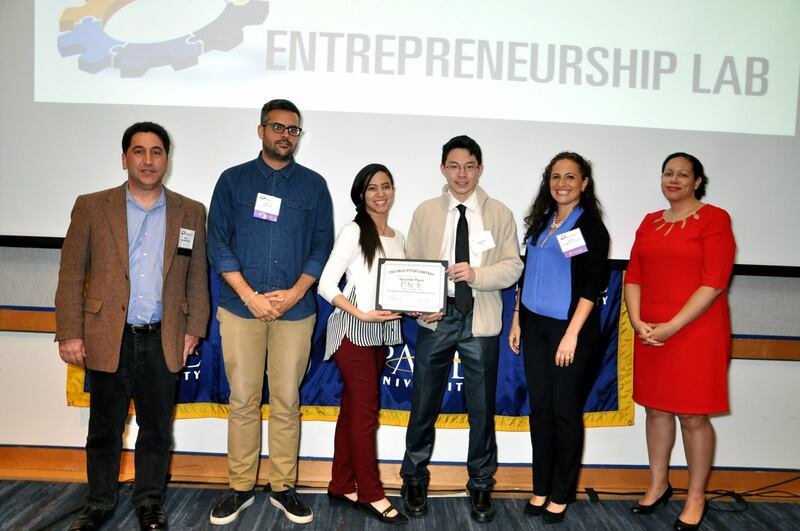 We couldn’t be more proud of Rachel González, Andrew Ku, and Rohana Sosa for taking the top two spots in the contest. The competition, now in its thirteenth year, challenges students to pitch their ideas with constraints based on the famous Elevator Pitch, the technique of giving a concise and compelling pitch in a very short period of time. 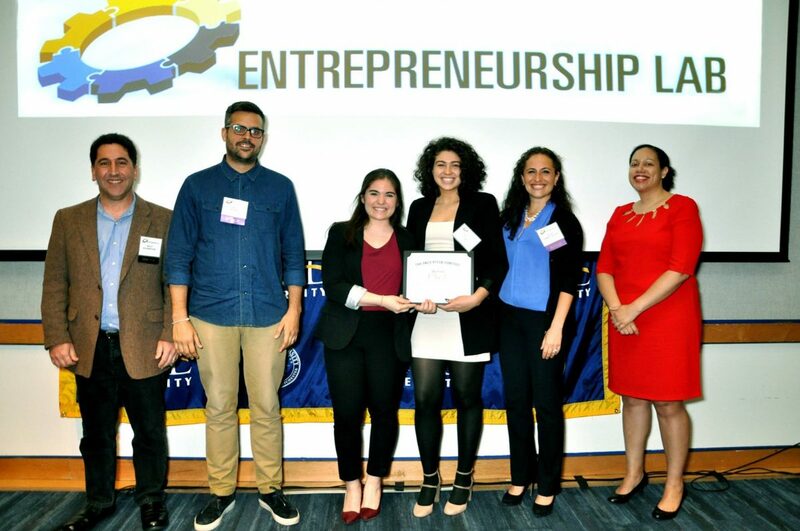 Finalists in the competition had three minutes to give their pitches, which they did on Thursday, April 20, 2017, in the Bianco Room at Pace University. During their presentations, they were judged on their ability to provide: a description of their idea; a market analysis; the specs of their product or service; identification of potential competitors; a marketing strategy; how they aim to produce and deliver their product or service; an assessment of their management; a finances overview; and an investment proposal. Plenty of Seidenberg students and teams made it to the final round – here are the teams including some of our amazing entrepreneurs! George Samuels and Arton Mirakaj presenting Atmosphere. Arton Mirakaj (BA in Computer Science) and George Samuels (BS in Computer Science) presented Atmosphere, a VR mobile application that will be used to improve the health and care of aging populations – the same app that went on to win at the #WestchesterSmart Mobile App Development Bowl! 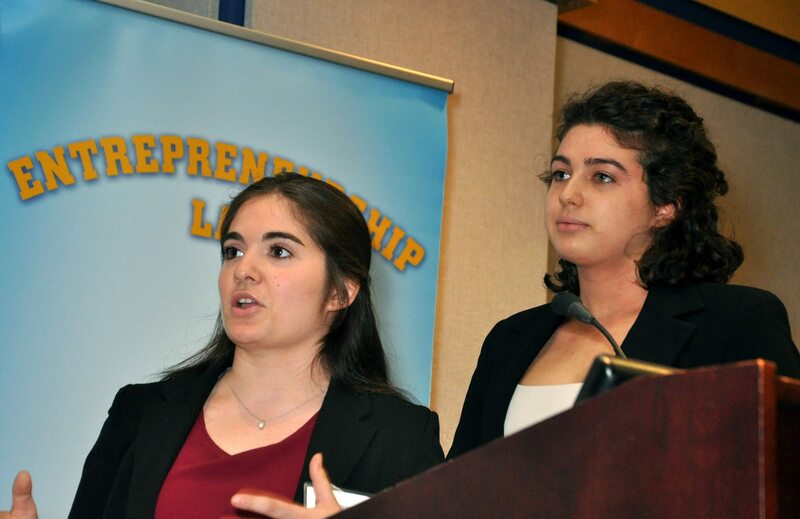 First place winners Rachel Gonzáles and Danielle Ran pitching Minute Mantra. Minute Mantra is a health and wellness app that enables mindfulness and clarity, and was developed by Rachel González (BS in Information Systems) alongside Danielle Ran (BBA in Marketing with minor in Psychology). Thanh Do, Phuc Pham, and Syman Li present charity app TouchDonation. 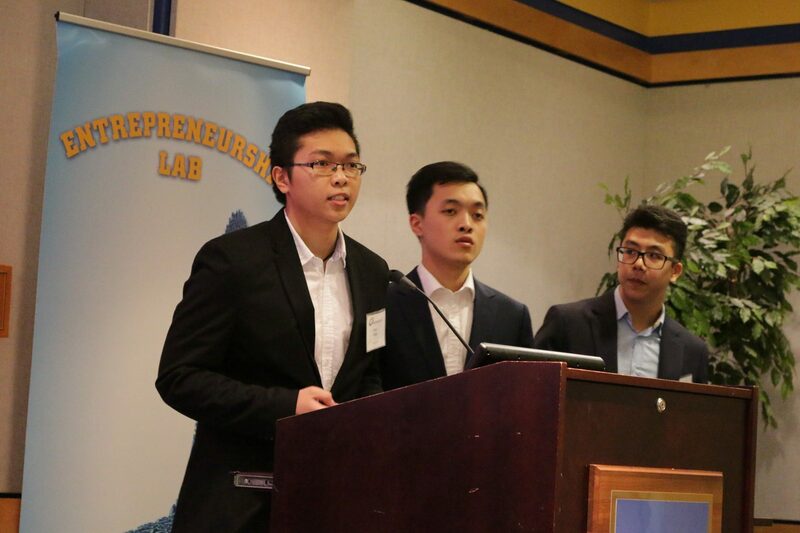 TouchDonation makes giving to charity simple and was created by Phuc Pham (BS in Information Technology with a minor in Quantitative Business Analysis), Syman Li (BBA in Hospitality) and Thanh Do (BBA in Finance). Second place winners Andrew Ku and Rohana Sosa with their idea VAICAM Pi. Seidenberg students Andrew Ku (BS in Information Systems) and Rohana Sosa (BS in Computer Science with minor in Computing Information Technology) created VAICAM Pi. VAICAM Pi is bundled as an Android mobile app, a Google Cardboard virtual reality (VR) headset, and a Raspberry Pi 3, equipped with a 360 camera and artificial intelligence to function as an older person’s own artificially intelligent security camera. Ricky Harris, Mackenzie Dolishny, and Daniel Citardi pitching VR Discover, an app aimed to improve the lives of aging populations. Finally, VR Discover – an app built for both Android and iOS, utilizes virtual reality to stimulate cognitive function, provide entertainment, and relieve restlessness stemming from sundowning for patients with Alzheimer’s and dementia – was built by computer science students Ricky Harris, Daniel Citardi, and Mackenzie Dolishny. This innovative app also made an appearance at the #WestchesterSmart Mobile App Development bowl, where the team won a prize. 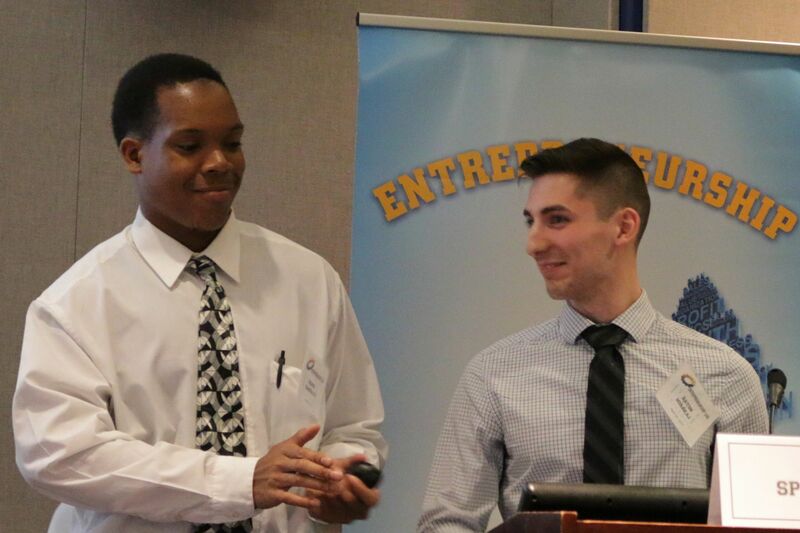 When it was time for the judges to make their decisions, students from Seidenberg snatched up first and second place! Rachel González and Lubin student Danielle Ran took first place, bagging $1,000 to use toward developing their mindfulness app, Minute Mantra. 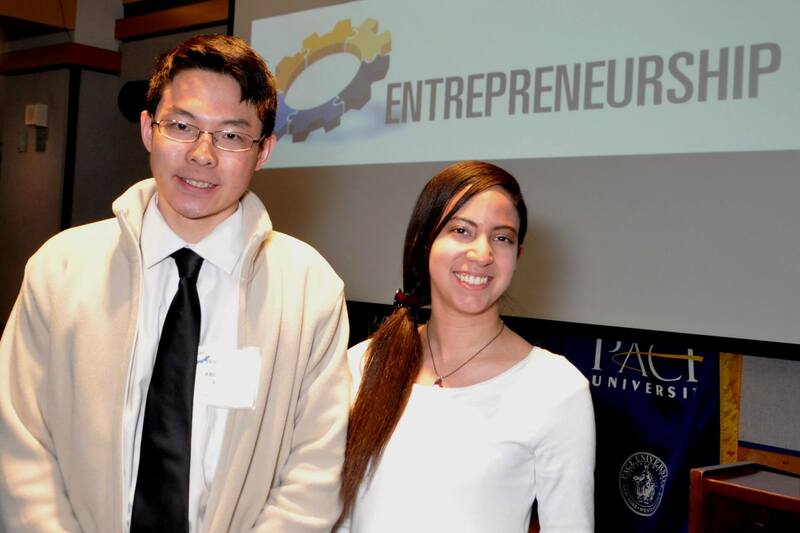 Andrew Ku and Rohana Sosa won the second prize of $500 for their artificial intelligence security app, VAICAM Pi. There were certainly a wealth of impactful apps and ideas presented at the contest. You can see all of the finalists at the Entrepreneurship Lab website.